Navigating the end of lease and knowing your renting rights can be confusing, especially when there are issues with getting your rental bond back. Moving house is difficult enough without these unwanted financial frustrations. Rent arrears ­­– This occurs when rent has not been paid by the due date. 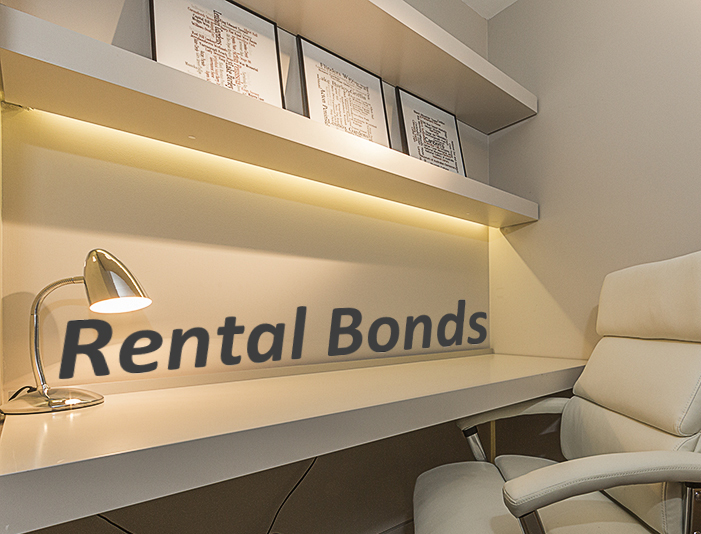 Some tenants stop paying rent in the last few weeks of their tenancy because they figure the landlord can just take it out of their bond. However this is not recommended. It is best that you avoid any claim against your bond where possible and even if the landlord recovers the unpaid rent via the bond you may risk being black listed on a tenancy database which can hinder the chance of securing future rental accommodation. Damage caused by the tenant – This refers to the cost of repairs to, or the restoration of, the premises or goods leased with the premises as a result of damage other than wear and tear. Cleaning (or lack thereof) – at the start of a tenancy a premises would be ‘reasonably clean’ and at the end of the tenancy should be ‘reasonably clean subject to wear and tear’. In principle, tenants are liable for whatever actions are necessary to bring the property to a state of being ‘reasonably clean, subject to wear and tear’. Where things get murky is that the law is not able to provide an exact definition of what constitutes ‘reasonably clean’ or ‘fair wear and tear’ pertaining to every potential situation. Factors such as the length of the tenancy will affect the level of wear and tear. An issue that often comes up at the end of a lease is whether the tenant is required to pay for steam cleaning carpets. In the ACT it is common practice for the landlords and agents to include a professional carpet cleaning clause, which may need to be honoured. At the beginning of a lease, you review and sign a condition report, which outlines the condition of the property when you moved in. It is important you fill this out carefully as the condition report provides conclusive evidence about the state of the property that can be used to defend your interests in the event a bond claim is made. Make sure you note any issues or damage on all copies of the condition report, then return one/two copies to the landlord and keep the other copy in a safe place. It is also a good idea to take photos for your records. The completed condition report must be signed and returned within a certain number of business days from the occupancy date as stated above. In the ACT a condition report should be provided to a tenant no later than the day after the tenant takes possession of the property. Please note that the tenant must, within 2 weeks after receiving a copy of the report, return one/two copies to the lesser or agency. What steps do I take to get my bond back? In the event no claim is made, an application is submitted requesting the money be returned to you. Both parties (landlord and tenant) sign the Bond Claim Form, you nominate a bank account on the form and the money should be paid the next business day after lodgement. Never sign a Bond Claim Form that does not specify the amount. If the bond is to be paid in full, make sure the full amount is recorded in the ‘Tenant payment details’ section and make sure you keep a copy. If there is a mutual agreement that some or your entire bond is to be paid to the landlord then both parties need to fill out the Bond Claim Form stating how much is to be paid to the landlord and how much to you. The appropriate amounts need to be specified in the tenant payment section and the landlord payment section. Check these amounts add up to the total bond amount. Again, try and obtain a copy for your records. If the landlord and tenant disagree about how much of the bond should be returned, either can make an application to the relevant tribunal, as described below. When a claim is made on your bond with the Territory a notice will be sent to you. You must, within 2 weeks after the day the notice of application is received, provide a written notice disputing the application. The Territory must than refer the application and notice of dispute to the Australian Civil and Administrative Tribunal (ACAT). However, the Territory need not refer the application and notice of dispute to the ACAT if the application is in accordance with an order of the ACAT stating that an amount is to be paid from an amount of bond. If a notice of dispute relates to only part of an amount of bond claimed, the Territory must, before referring the application and notice of dispute to the ACAT, release the amount of the bond that is not in dispute to the appropriate party. If they do make an application, make sure the landlord or agent has a forwarding address for you, otherwise any notice about a hearing may be served at the rental property where you used to live. If you want to defend your landlord’s claim on your bond money, you must go to the hearing. The date that you started the tenancy and the type of tenancy (fixed or periodic). If possible, take along a copy of the lease agreement. A receipt showing the amount of bond paid. The amount of notice given to end the tenancy, either by you or the landlord. Evidence about the condition of the property at the start of the tenancy. A copy of the condition report would be helpful. Any other evidence that will support your dispute that may assist ACAT in making their decision.